IBM MobileFirst for iOS Hospital Tech provides technicians with a real-time view of patient progress, lab and diagnostic results, safety alerts and delegated tasks. Dynamically updated as priorities change, Hospital Tech always knows where a tech should go and do next. Integrated patient data provides views into recent vital signs, clinical status, nurses’ notes and historical data. 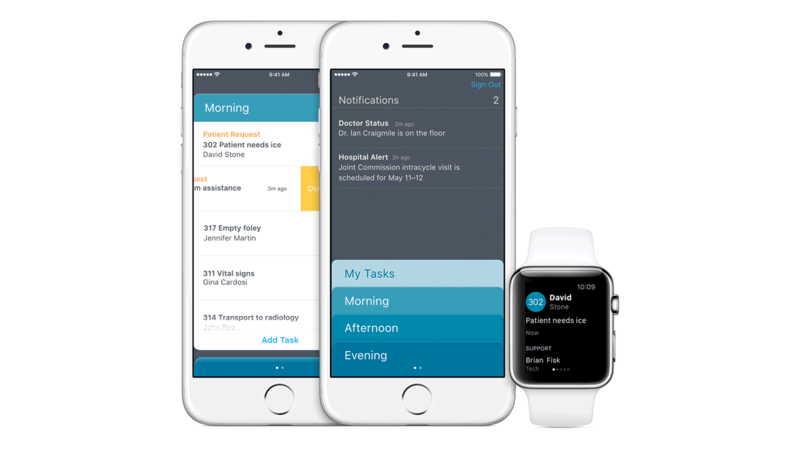 Techs can add voice, images and sketched drawings into patient records using intuitive, built-in tools on iPhone, iPad and Apple Watch. Notifications and to-do items are linked to patient data for access to a patient’s care contacts, clinical records and progress toward discharge. Call, text or FaceTime with team members to confirm orders, relay vital information and work together on problems or delays. Draw, speak and record video to create notes, and take photos right from the app to share instantly. Use your iPhone, iPad or Apple Watch microphone to dictate voice memos or call team members while working with patients.